Are you looking to add a lot of color to your project? 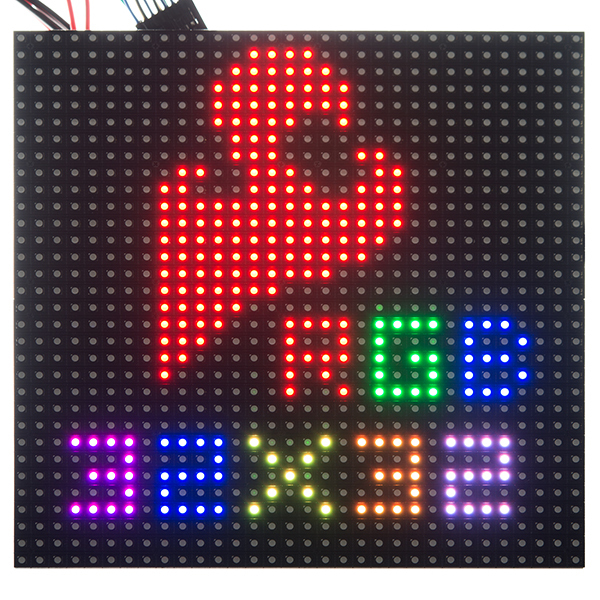 These massive 32x32 RGB LED panels are an awesome place to start. You can create animations, games, or all sorts of other fun displays with them. 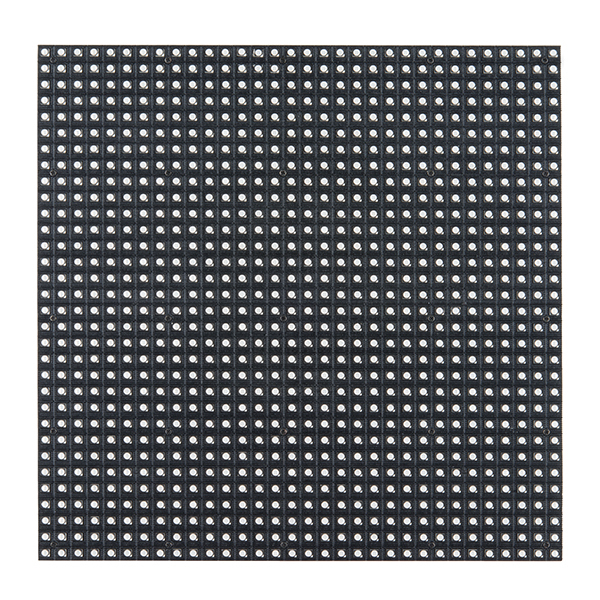 Yes, you read that right: a 32x32 LED matrix, that's 1024 LEDs on a 7.5" x 7.5" board. 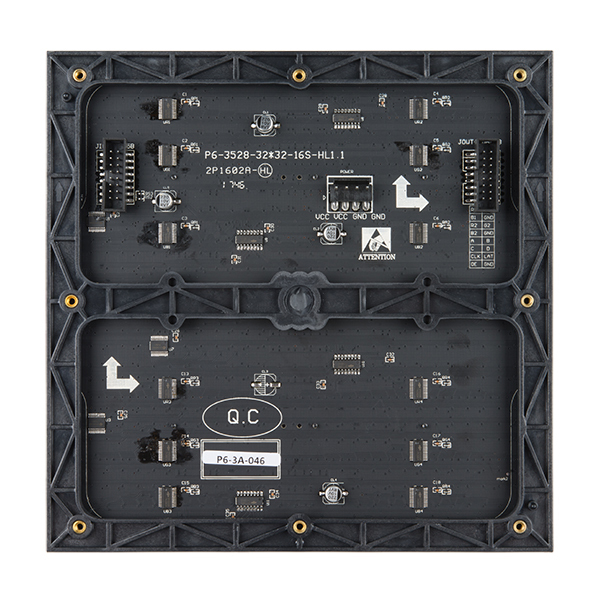 On top of all that, thanks to an IDC connector and a seamless frame, these panels can be daisy chained together to form even bigger LED displays. These panels require a regulated 3.3-5V supply for power which needs to be able to source a good amount of current – up to 2A in the worst case. 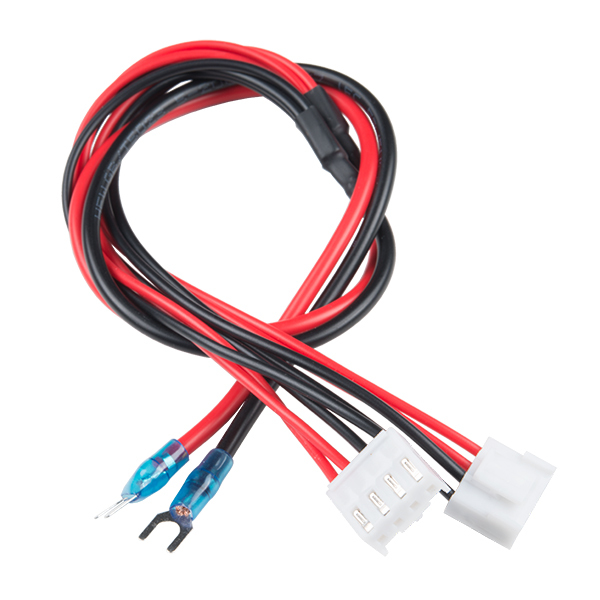 Included with each panel is a 0.15" pitch 4-pin polarized connector power cable which is terminated with both a female polarized connector, and a pair of spade terminals. 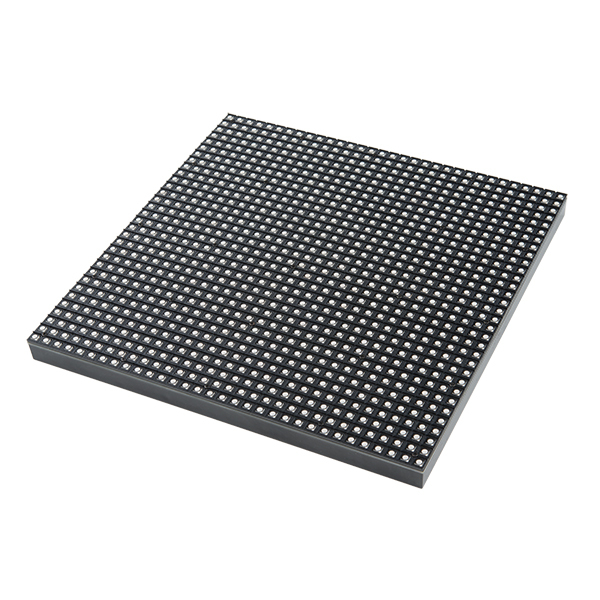 Needless to say, if you are looking for a large, cheap, and easy to use RGB LED matrix you've come to the right place. Note: These displays were intended for use with FPGAs and high-speed processors. We've found that 16MHz is about the slowest processor that can drive these adequately. If you want to daisy-chain them together, you will need more speed and more RAM. 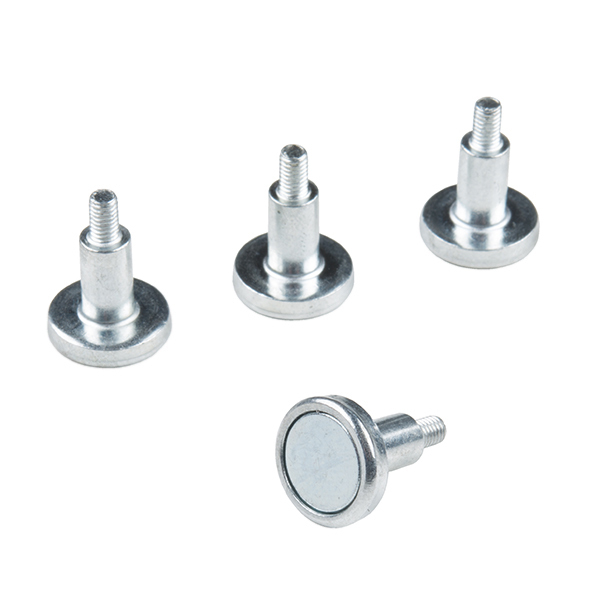 These are successfully mounted by 3m machine screws. PRT-13227 should work. 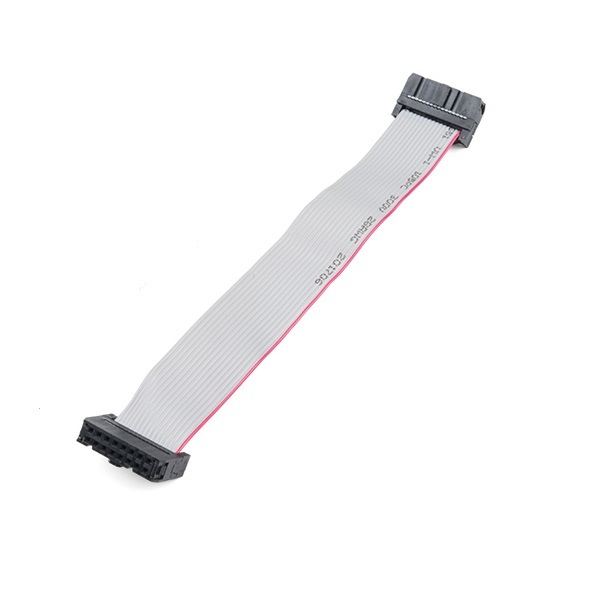 Is this panel compatible with the Raspberry Pi 3 (Model B) and either the Adafru1t RGB Matrix HAT or the Adafru1t RGB Matrix Bonnet? If so, any tips/instructions?